The formerly mainstream media reports on tsunamis, earthquakes, floods and tornadoes, just like they report on other events at home and around the world… as if they were discreet events, totally unconnected. To do otherwise, would potentially expose the puppet masters among us. While this may be the case sometimes, sometimes it may be a simple case of willful ignorance. I have no special revelation from God, a la Harold Camping, but with all the death and destruction brought to us courtesy of natural disasters, it’s hard not to believe we are seeing a pattern. The true believers in the warmer brigade will try to tell us that it is our fault for driving cars we can fit in with sufficient power to get out of their own way and wanting to keep our homes warm in the winter and cool in the summer. However, pretty much all their best arguments have been debunked by honest scientists willing to go against the flow of political correctness. Any serious student of biblical prophesy understands that the end times show us the human toll of these tragedies. As I write this, reports are just coming in of four more lives snuffed out by tornadoes in Oklahoma with severe weather bearing down on the stricken Joplin, Missouri. While people around the world have experienced their share of weather related disasters, the current focus seems to be on middle America. People are dying. Homes and businesses are being destroyed and there is nothing our government, which fancies itself in control of all things, can do about it. Or is there? Many who have swallowed the global warming fantasy will scoff at a relationship between our leaders policies and the safety and prosperity of our people. However, God told Abraham, the father of the Jewish nation, “I will bless those who bless you, and whoever curses you I will curse; and all peoples on earth will be blessed through you.” (Genesis 12:3 NIV) Furthermore, Psalm 122:6 tells us. “Pray for the peace of Jerusalem: May those who love you be secure.” (NIV) Other translations tell us we would be prosperous. At this point in time, we are neither secure nor prosperous. It is true that our current leaders are taking all sorts of actions that will bring harm to our country, most will result in economic loss or reduction in our freedom. Few are as direct an affront to our creator and protector of the Jewish nation as supporting and forming alliances with those who would wipe Israel from the map. Looking back through history, things never went well for those who sided against God’s chosen people… even though they appeared to succeed for some time. It would not be to our benefit to be numbered among those fallen nations. Our country’s president is leading us down the road to destruction, in general policies and, specifically, with regard to Israel. They, like the leaders of the Third Reich, feel more comfortable with the Islamic enemies of the Jewish people. They attempt, at every turn, to guide the nation of Israel down the path where its existence could be called into question. Why then are the average folks subject to these terrible losses while the president hobnobs with royalty and government representatives sipping champaign or guzzling Guinness in Europe? For the answer we need to look at who, ultimately, is responsible to fix this situation. While he is running amok and doing is best to “fundamentally change” our country away from one based on hard work, common sense and Judeo-Christian values, it is really up to us. Barack Obama is incapable of correcting all the wrongs he and his cohorts have visited upon our country. II Chronicles 7:14 says, “if my people, who are called by my name, will humble themselves and pray and seek my face and turn from their wicked ways, then I will hear from heaven, and I will forgive their sin and will heal their land.” It doesn’t say, “when the leaders get their heads on straight, then things will be fixed. No! It says “God’s people are responsible for setting things straight. We need to be about our fathers business. Obama cannot get us out of this mess. All he can do is dig it deeper. We need to follow the instructions in 2nd Chronicles… then be open to the tasks God lays before us as we work to restore this land of freedom he gave to us. And among those things, I’m certain, will be to bring back a rightful understanding of Israel’s place in the world. An interesting point of view, one I’d not considered before this. I had just assumed these were some of the “signs of the times”, as I believe we are living in the Last Days. But I never made the correlation between our govt’s support of Israel’s enemies as a reason for all the “natural” calamities coming against America lately. Thank you for this post!! It made me think. It challenged me. It has made me more resolute to stand with Israel, no matter what my govt or friends or some misguided people in the Church say!!!! 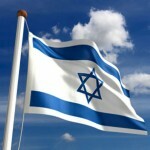 I STAND WITH ISRAEL!!! !